Brownsville police fired two shots at an auto theft suspect Tuesday afternoon, striking the man in his left leg, authorities said. 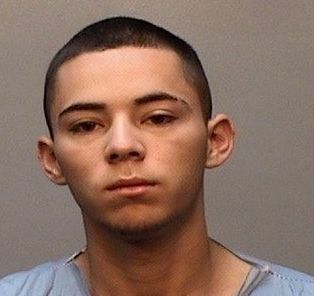 Police arrested 20-year-old Juan Armando Mendez Jr. on Tuesday after he allegedly tried to drive over police officers investigating an auto theft. At around 3:25 p.m. Tuesday, auto theft investigators encountered a vehicle allegedly driven by Mendez on the 2100 block of Autumn Sage, according to police. When officers tried to make contact with Mendez, the 20-year-old allegedly rammed two unmarked police vehicles and tried to run down the officers, police said.